Derrik was born in Durango, Colorado and grew up in a tiny town south of Jackson Hole, Wyoming. Choosing the road less taken, Derrik attended Westminster College in Salt Lake City where he earned degrees in finance as well as management. While attending college at Westminster Derrik, unknowingly at the time, met the beautiful woman that eventually would become the love of his life and his wife. Between meeting Holly and the wedding day there would be adventure and education within the real estate industry that would help shape Derrik into the real estate advisor he is today. While in college Derrik began working with an Inc. 500 mortgage bank to fully understand the lending and mortgage industry. 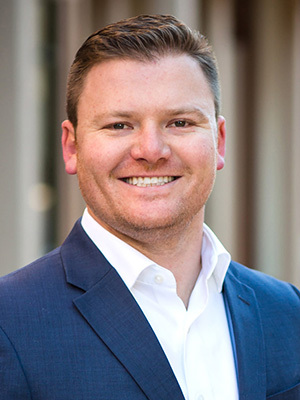 Although he was based out of Salt Lake City, Derrik helped homeowners and investors purchase and refinance properties from Alaska to South Carolina. In late 2006, Derrik purchased his first investment property before informing his family that he would be accepting a position with Altura Investments to maintain and manage the day to day operations of an 85 unit development on the Island of Roatan in Honduras. Approximately twelve months later he returned to the mountains of Utah and started a lending company that provided short-term bridge loans for home builders. All the while, Derrik kept a pulse on the real estate markets and started purchasing and rehabbing additional investment properties for long-term rentals. Somewhere between purchasing his ninth investment property and marrying Holly, he decided it was time to change directions and use his knowledge and skill to help others buy and sell property in Park City, the Deer Valley® Resort area, Midway, and Heber, Utah. Derrik holds the designation of Certified Negotiation Expert, he is a member in good standing with the Institute for Luxury Home Marketing and is certified Resort & Second Home Real Estate advisor. Derrik is committed to providing exceptional service to help each client reach their Real Estate dreams and goals.